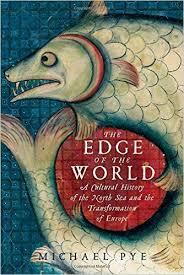 Pye starts out with an introduction which leads the reader into a discussion of the importance of the coast of northern western Europe in the Medieval (6th century to 16th centuries) and still is, but also how changeable the area has been for hundreds of years. There’s a LOT of detailed material written up in historical essays but it’s still basically an overview of topics on which whole books have been written. This is a seriously broad brush book and sometimes the brush is broader than the evidence and perhaps some over-generalizations are made. 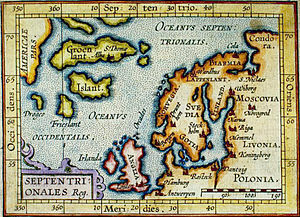 The North Sea is the connecting thread between the essays but it seems to also be very concerned with the changing economic situation of Northern Europe during Medieval Times from the end of Roman occupation to the gilded age of Amsterdam, the printing press and the seeds of the Reformation. That’s what this book is about – all those changes. 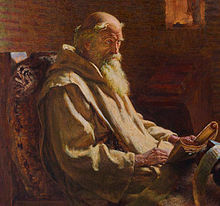 Although I certainly knew of the Roman Empire in northern Europe and how they left just around the time of the Anglo-Saxon wars, and sometime during that conflict there was the Venerable Bede (who may not be credible?) 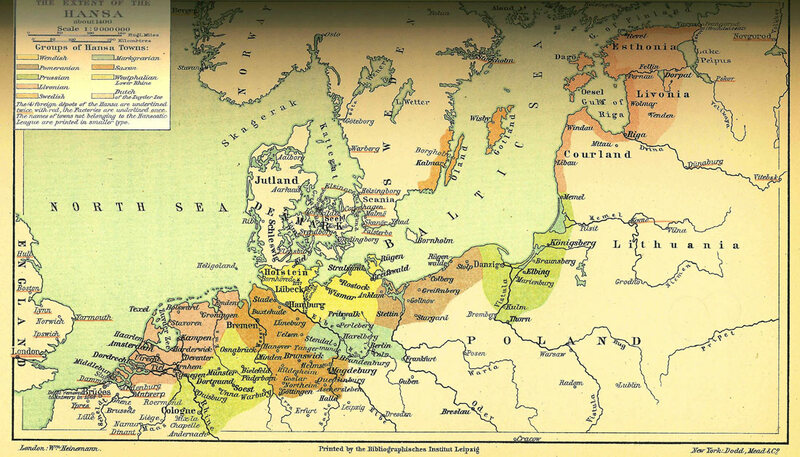 and so on – I had no idea about the Frisians of the 6th century (Chapter 1) and the land along the coast around Denmark much less their livelihoods and lively trade between mainland Europe and Scandinavia and the innovation of money which Pye covers. There is very little specific evidence, especially of the social and intellectual history, although his notes are good. Quite a lot of what he says is speculation – logic – based on the evidence of artifacts and archives. But he’s an excellent writer and conveys his own enjoyment of the subject well. There is so much new and interesting material here. Chapter 2: And on to Bede – the Venerable one up in Northumbria, England – his life and works – the importance of books and reading in the area and during this era – fascinating chapter. Chapter 3 – The Vikings started arriving in probably 700 CE, trading from their incredible ships and bringing with them an entirely different world view. Pye discusses the early Norse travelers and how they brought goods from as far as Byzantium to Scandinavia along with the silver allowing trade and the sources of wealth. And “The Arab world was suddenly desperate for people to work. Plague had wasted the population, and labour was in short supply” although sending slaves to Byzantium was frowned on by the Christian church. So the next step in the trading process with the Eastern markets was gathering the goodies by looting pillaging and kidnapping – in 793 some Norwegian and Danish Vikings, as big and brutish as we mostly remember them, arrived in Lindisfarne where they “miserably devastated God’s church … by looting and slaughter.” (p. 82) This was during the time of Charlemagne who was pushing for Christianity throughout Europe and in England Alcuin wrote that the Christians had been in England for 350 years already. The Viking raids meant a state of war, now at sea as well as by land ala Charlemagne, and really all we have is the evidence of the monasteries – including Bede’s. And Charlemagne ultimately won – the Saxons were converted as well as the Vikings but it was not without a lot of money and killing taking place. That said, the Gospels were transmuted, probably by Liudger a Christian missionary, into something called the Heliand, an epic poem in old Saxon and in which John the Baptist is brought up as a ” ‘ warrior-companion’ ” for Christ. It’s quite different from the European version in a number of ways, very Saxon-ish and Pye goes into the Heliand story because that’s a merging of Saxon and European cultures. Small issue – on page 93 Pye says, “It was as the Prophets had predicted, they said: ‘A scourge from the North will extend over all who dwell in the land.” – That’s not sourced and I can’t find where it might have come from – Jeremiah 47:2 is as close as I get – “This is what the LORD says: “See how the waters are rising in the north; they will become an overflowing torrent. They will overflow the land and everything in it, the towns and those who live in them. The people will cry out; all who dwell in the land will wail.” And I believe that’s about the Assyrians who were threatening the people of Judah and the Euphrates River. But I suppose Pye might be using Christian talk of the times – ? – but still, why no source? The point of this chapter seems to be that the Vikings wreaked havoc on the old ways as well as on Charlemagne’s monasteries, towns and political landscape of the North Sea World and creating their own – as seen in Ireland. Good book but it takes time to read and digest – especially if you enjoy Googling some things like the Viking Sagas or the Beguines or Hanseatic League and the Bourse or fashion etc.